Real Estate Litigation and Transactions. Mortgage Fraud and Foreclosure Litigation, Personal Property Litigation, and Tenant in Common (TIC) Lending. Mr. Seigel is a partner at SLG. Mr. Seigel graduated from the University of Michigan (Ann Arbor) (B.A. 1984). Mr. Seigel earned his Juris Doctor Degree from the University of San Francisco Law School, San Francisco, CA (1993). Mr. Seigel’s litigation experience includes real property disputes, broker claims and liability, landlord-tenant, foreclosure litigation, prejudgment attachment of assets, and receiverships. He has handled jury trials to verdict, non-jury trials, and arbitrations. Transactional experience includes drafting purchase and sale agreements for office, retail, industrial, and raw land, drafting of commercial leases, and drafting loan documents. 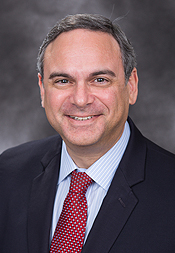 Mr. Seigel has been appointed by the State Bar of California as an Arbitrator of attorney-client fee disputes and as a Settlement Panelist by the Marin County Superior Court.